The head of United States (U.S) forces in Seoul warned yesterday against raising hopes over North Korea’s peace overture amid a war of words between the U.S. and the reclusive North over its nuclear and missile programs. In a New Year address, North Korean leader Kim Jong Un said he was open to dialogue with U.S. ally South Korea and could send a delegation to the Winter Olympics to be held in the South in February. 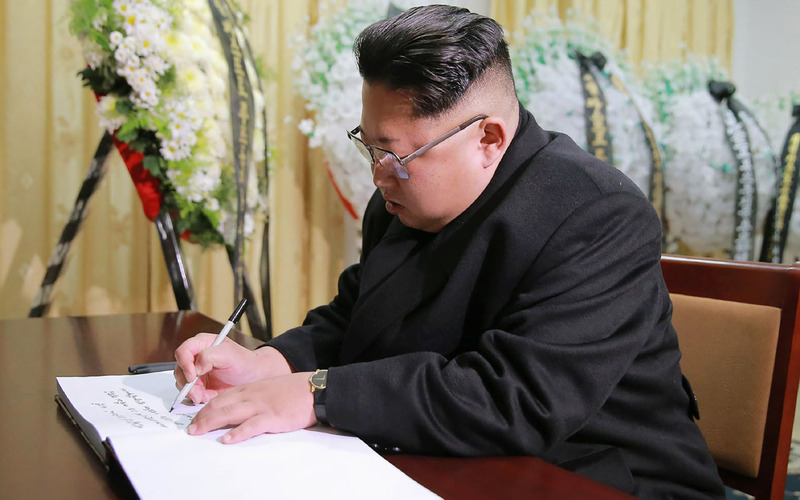 Kim also warned that he would push ahead with “mass producing” nuclear warheads, pursuing a weapons program in defiance of United Nations (UN) Security Council sanctions. In response, Seoul on Tuesday proposed high-level talks at a border village and on Wednesday, the two Koreas reopened a border hotline that had been closed since February 2016. “We must keep our expectations at the appropriate level,” the chief of United States Forces Korea (USFK), Vincent Brooks, was quoted by Yonhap news agency as saying in an address to a university in Seoul. President Trump and North Korean leader Kim Jong Un have exchanged a series of bellicose comments in recent months, raising alarm across the world, with Trump at times dismissing the prospect of a diplomatic solution to a crisis in which North Korea has threatened to destroy the United States, Japan and South Korea. Trump has mocked Kim as “Little Rocket Man” and again ridiculed him on Twitter this week, raising some eyebrows at home. “Will someone from his depleted and food starved regime please inform him that I too have a Nuclear Button, but it is a much bigger & more powerful one than his, and my Button works!” he wrote. The White House on Wednesday defended the tweet, saying, in answer to a question, Americans should be concerned about Kim’s mental fitness, not their president‘s. American officials have responded coolly to North Korea’s suggestion of talks and the State Department said Pyongyang “might be trying to drive a wedge” between Washington and Seoul.